The last couple of years I’ve really enjoyed experimenting with growing fruit trees in our back yard. It’s been a fun learning curve. One concept that was new to me was “chill hours.” Chill hours are the cumulative hours of temps between 32-45 degrees in the winter that a tree needs in order to bear fruit the following year. 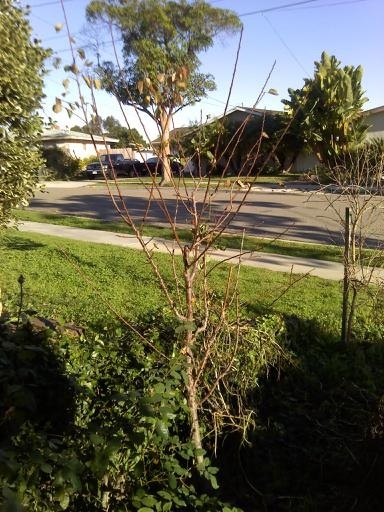 Living in San Diego, our issue can be that we don’t get enough cold weather for fruiting. It can tricky to estimate chill hours here, since there is so much variation in temperature depending on how close you are to the coast and also altitude. The way around that is to choose low-chill varieties, such as this apricot tree. It didn’t fruit at all last year, so hopefully this year will be better; I’ll let you know.